Fundraiser for Seanna Bradley by Julie Obermiller : Rebuild our Barker Library! 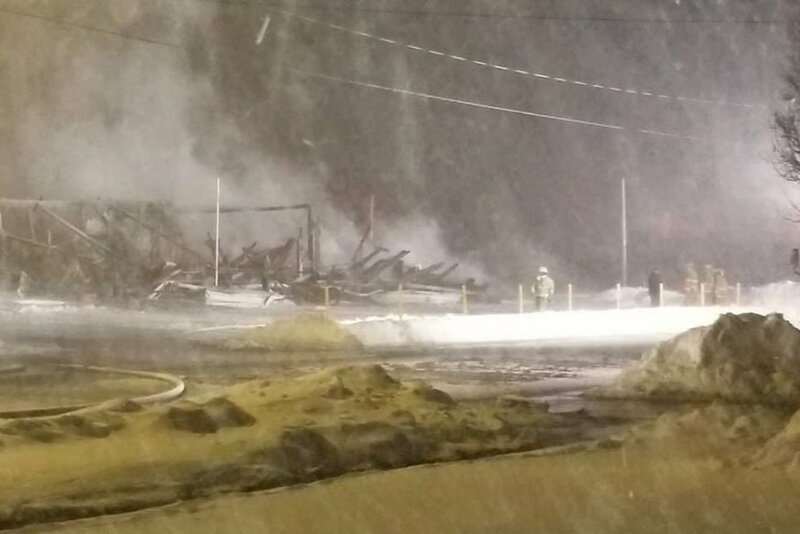 Our beloved Barker Public Library burned to the ground last night. It was a monument to what a community can accomplish, and we are feeling helpless and lost. Our Children's Room was the result of hard work and determination by the community and was our pride and joy. Whatever else happens in the rebuilding, there will be so much to replace so we are starting here. All funds will go toward the project as needed. We also lost our Barker Village Hall and our historic train station. As we reel from the shock, let's add a note of hope by showing how much our little library meant to us! We will add details as available. Library Director Lisa Thompson will set up a drop-off for materials that are now out on loan- the only things that remain. We have raised almost a quarter of our original goal through donations big and small! The messages of support and shared memories of fun times at our Barker Library are wonderful and encouraging. Every day is a new page in our ongoing story and thanks to a kind and caring community, we will have a happy ending. Thank you for your help sharing our message of hope!